It’s that time again! A time for giving and caring and sharing! If you need to grab a last minute gift, maybe one of these will inspire you. 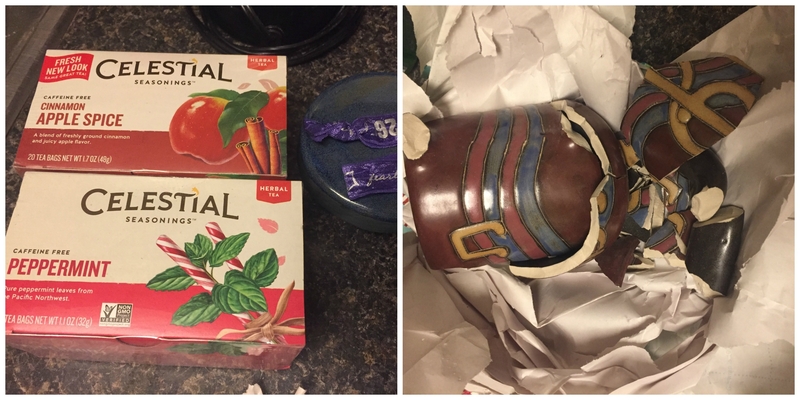 I got Kyle, and I chose a hand-thrown mug and lid for her, along with a few of my favorite teas. I struggled with choosing a mug, there were two that I thought she would like. One had a woman turning into a bird in hues of blue and aqua, and the other had lovely music notes and staff. I know her love of music and signing, so I ultimately went with the mug with notes. Then she messaged me to say that the lid arrived ok, but that the mug had not. 🙁 Sooooo, I’m off to the Celestial Seasonings Factory Gift Shop, and I really hope they have another one with music notes. At least she’ll have some nice peppermint tea to keep her warm while she waits! Knowing our newest mama chick hasn’t been doing a ton of running lately, but has been playing with her cute kiddo, I wanted to get her a gift that a new mom would appreciate. I reached out to another friend who has also recently had a baby and asked what her favorite mom swag was. As an athlete herself who is trying to get back in the swing of running and working out, her answer was no surprise. 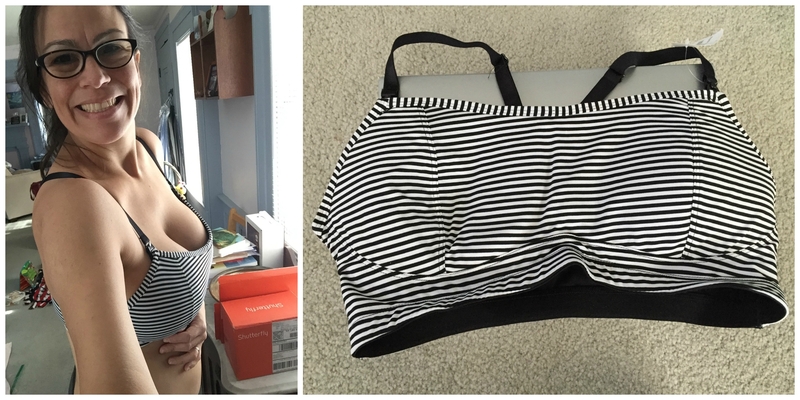 She recommended a nursing sports bra – which she touted as not only comfortable, but also easy to use and wear. I knew that while Vic hasn’t been putting the miles in lately, maybe something like this would help that transition when the time comes! Third time’s the charm! Once again, I was paired with the fabulous Cam. I laughed out loud when I saw my match because I was Cam’s Secret Santa the first two years of the exchange. I hope I nailed it those first two years, but I wanted to do something different without repeating themes or ideas. Knowing that Cam loves to bake, I got her two themed baking items. 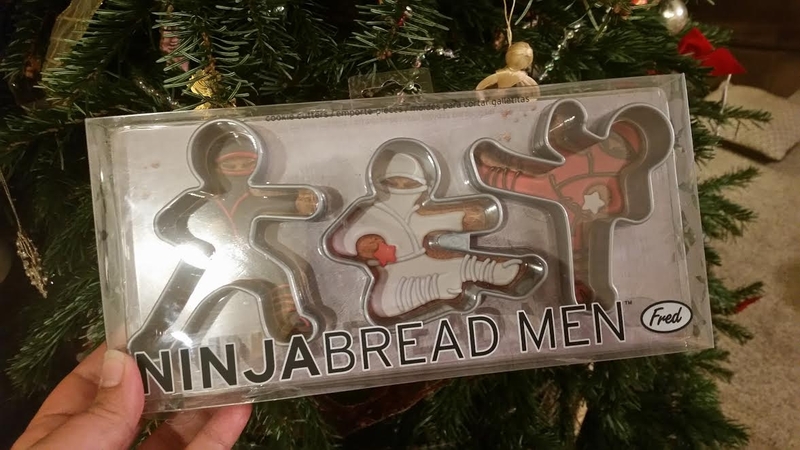 I splurged on ninja cookie cutters since Cam’s Ragnar team is centered around ninjas! These things are adorable! Cam’s second gift is also to be used in the kitchen, but apparently won’t be delivered until after Christmas. (Thanks for misleading me on that one, Amazon) so I don’t want to say what it is here. I’d rather Cam be surprised when it arrives. Let me just say – it’s out of this world! And I know Cam will enjoy the force it brings to her recipes! Obviously, the gift I chose for my Secret Santa was motivated by our upcoming Ragnar adventure. 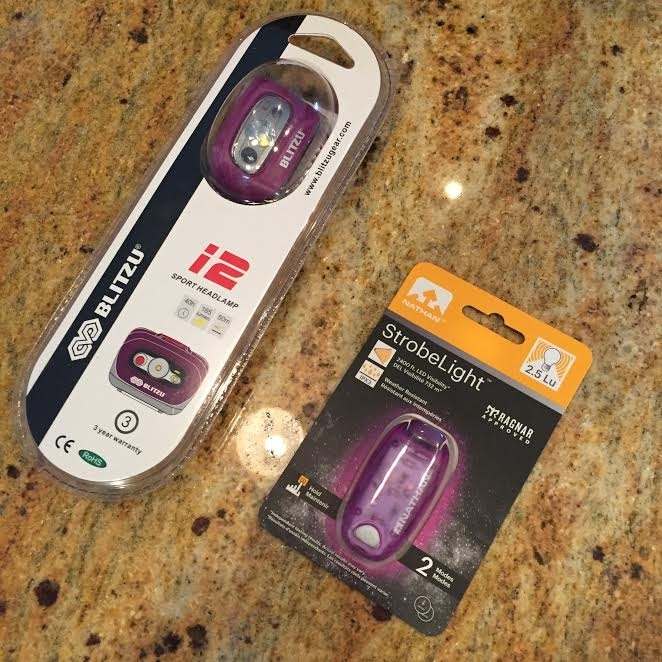 I wanted Meri to have everything she needs for her night run in Pennsylvania this June. I found her a stylish purple headlamp and matching blinky light to guide her way through Amish country. This Ragnar has been a long time coming and I can’t wait to share it with her! 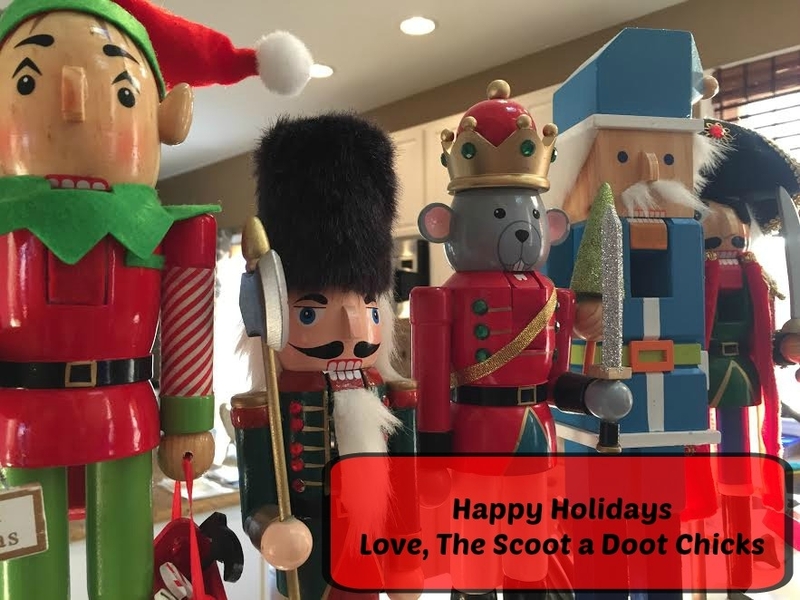 Happy Happy Holidays, my sweet friend! I was paired with Jenn! She and I obviously have some good brain share going on because I sent her a mug as well, knowing that she enjoys drinking her tea. We originally met through our love of books and reading so when I saw this “banned books” mug, I knew that she would appreciate it. Jenn is a non-conformist and she doesn’t follow the rules when it comes to writing. I fully expect to see an update of this mug with a book that she’s authored listed (and we’ll read it anyway because we do what we want). I also sent her this sweet yoga top that I’ve been eyeing for awhile, just waiting for the perfect time to send to her (this was it!) and a little Whisper sign from My Favorite Sign Company, a small business with whom I work closely. Jenn’s dogs are her world and I knew that she’d be nodding her head with this message. 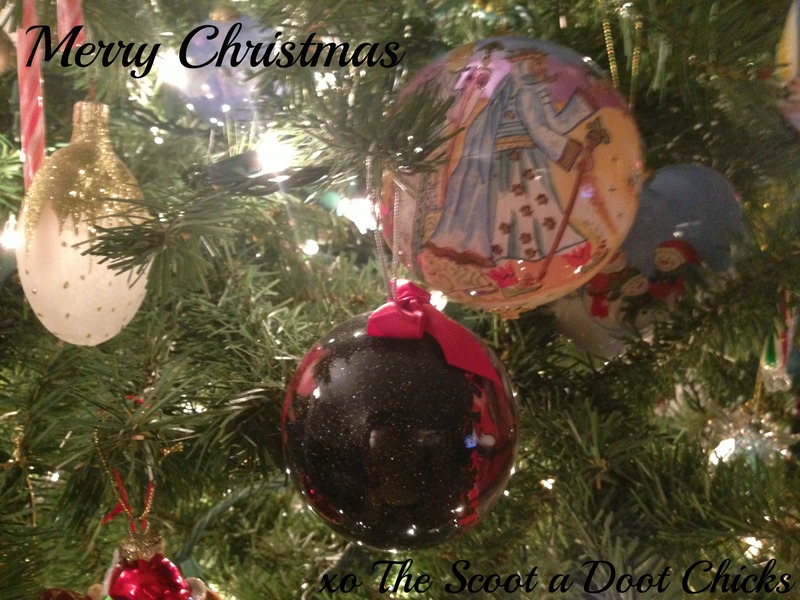 We hope your holidays are merry and bright. If you’d like to check out our past exchanges, click on the years below. What are your favorite gifts to give? Get? We’d love to hear about what you’re looking forward to this holiday season!